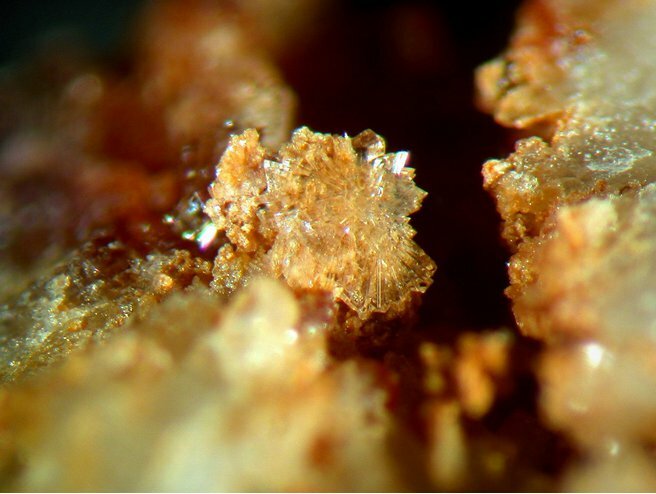 Maghrebite Group: Mineral information, data and localities. where M1 = Fe2+, Mg2+, Mn2+; M3+ = Al3+ or Fe3+. Named after the first mineral in the group that had its structure determined, Maghrebite. 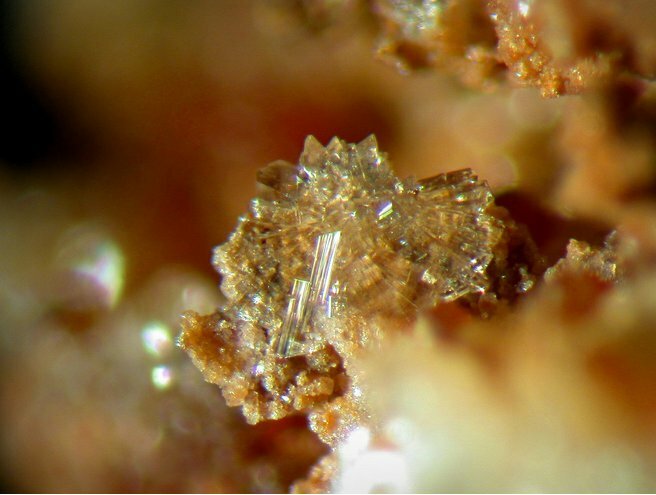 A group in the Laueite Supergroup which includes arsenates. Approved by IMA in 2014 (proposal 14-F). [Césarferreiraite] Bermanec, V., Scholz, R., Markovic, F., Zigovecki-Gobac, Z., and Chaves, M. L. S. C., 2011, Mineralogy of the Boa Vista pegmatite, Galiléia, Minas Gerais, Brazil: Contributions to the 5th International Symposium on Granitic Pegmatites, Galliski et al., eds., Assoc. Geológica Argentina, Serie D, Publicación Especial 14, p. 33-35. [Césarferreiraite] Scholz, R., Chukanov, N. V., Menezes Filho, L. A., Atencio, D., Lagoeiro, L., Belotti, F. M., ... & Pekov, I. (2014). Césarferreiraite, Fe2+ Fe23+ (AsO4) 2 (OH) 2· 8H2O, from Eduardo mine, Conselheiro Pena, Minas Gerais, Brazil: Second arsenate in the laueite mineral group. American Mineralogist, 99(4), 607-611. [Maghrebite] N. Meisser, J. Brugger (2006): "Bouazzerit und Maghrebit, zwei neue Arsenatmineralien aus dem Revier Bou Azzer, Marokko", Lapis 31(7/8), 69-71; Meisser, N.; Brugger, J.; Krivovichev, S.; Armbruster, T.; Favreau, G. (2012): Description and crystal structure of maghrebite, MgAl2(AsO4)2(OH)2•8H2O, from Aghbar, Anti-Atlas, Morocco: first arsenate in the laueite mineral group. 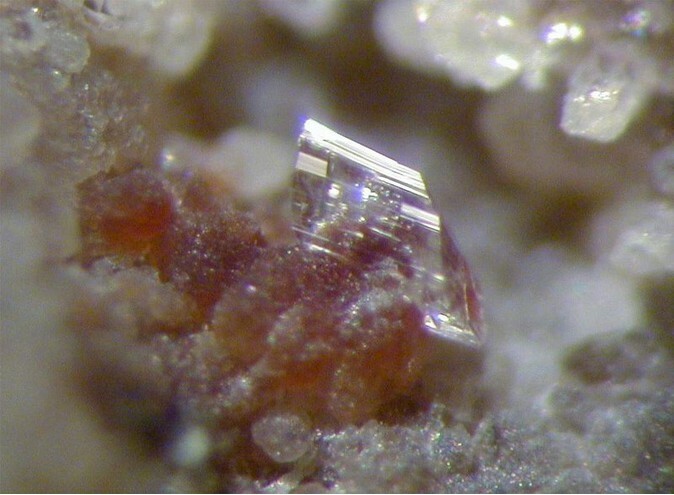 European Journal of Mineralogy 24, 717-726. [Maghrebite] Vincent Bourgoin, EDS analysis, September 2014.